Hello friends and happy Wednesday! 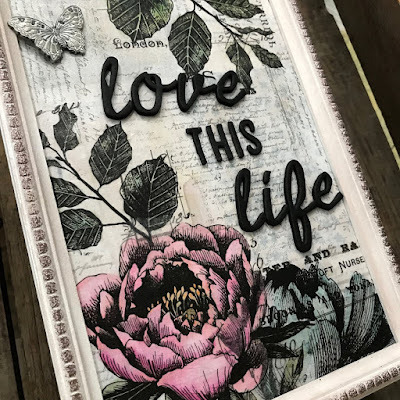 I'm so grateful to be over on the Simon Says Stamp blog today featuring the new Tim Holtz Botanical Collage paper and the Cutout Script Bigz die from Sizzix. I hope you will stop by to see the full tutorial here. I even have a bonus project for card makers.